Since in some countries ‘cola’ can have sexual connotations (yikes!) 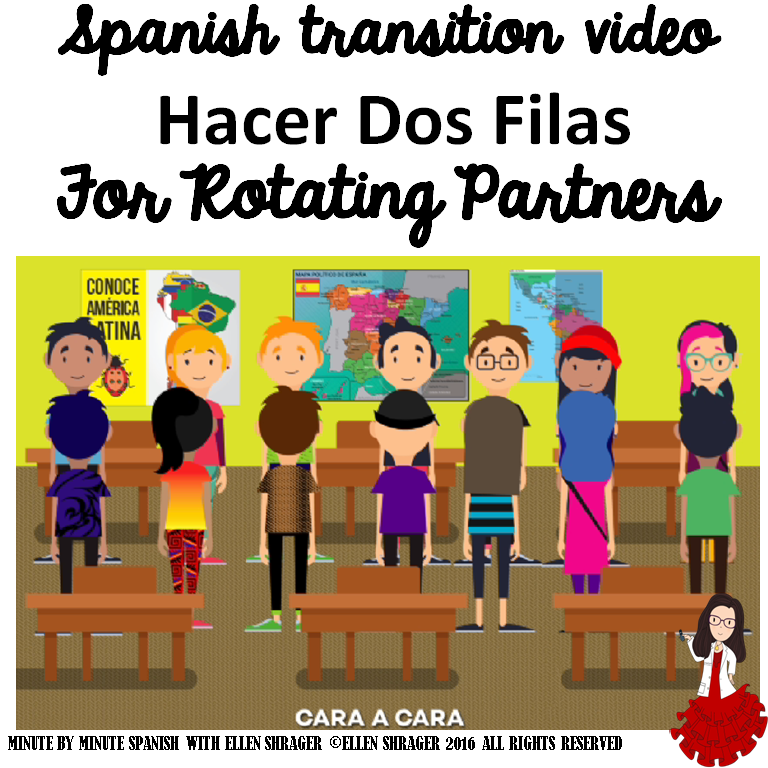 I went with ‘hacer fila.’ The beauty of using this transition video is that it saves so much time compared to in the past when I would introduce the first activity requiring two lines. Usually it was the second week as we practiced the survivor vocabulary. I would act out the motions of making two lines while staying in the target language, wasting so much time. Now in less than a minute they are up and about on task and in the target language!